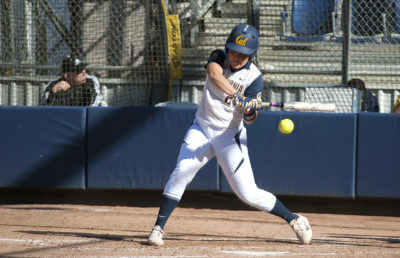 Cal softball continued its historic dominance over UC Davis on Wednesday evening, with a 3-2 win in extra innings. With the victory, the Bears also secured their 30th win of the season. 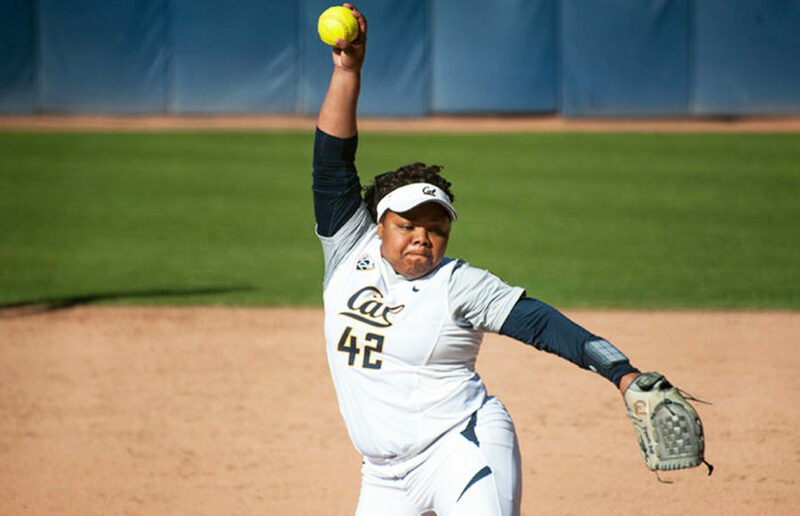 Junior transfer Kamalani Dung and redshirt junior Zoe Conley split the work in the circle, with Dung tossing the first 3.1 innings, and Conley handling the final 4.2. While Conley was stellar, allowing no hits and no earned runs, Dung was solid but somewhat shaky, giving up two earned runs in her brief start. 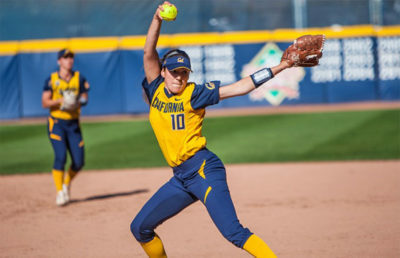 Cal was not its normal self at the plate either, as Aggies’ sophomore pitcher Katie Kibby stymied the Bears’ offense, surrendering just four hits in an impressive, complete-game performance. Junior Lindsay Rood, however, was able to put together a nice day at the plate, going 1 for 3 with a double and a sacrifice fly. The deciding moment came in the top of the eighth, when the Bears scored the go-ahead run off the bat of freshman catcher Lauren Espalin. The RBI single, which brought Rood in to score, secured what went down in the books as the winning run. 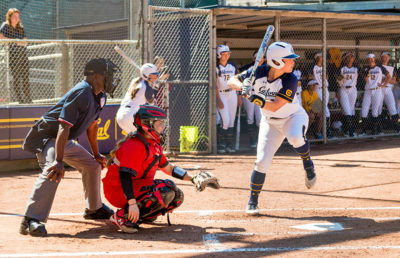 With the win, the Bears extended their streak to four games, adding to their recent winning ways as they head into this weekend’s three-game conference series at rival Stanford. The Cardinal, on the other hand, will be aiming to halt what has been a rough stretch of late, as they have dropped their last seven straight contests. As it stands now, Stanford is a game below .500 overall on the season, but it has suffered through a 2-10 month of April to date. In terms of the Pac 12, Cal’s recent sweep of Utah has brought it to seventh place in the conference, with Stanford trailing by 2.5 games and filling in eighth place. In the hitting department, Cal certainly has the advantage, with a team average of .287, as opposed to Stanford’s .271 mark. They also have more than twice as many home runs on the season than the Cardinal. Finally, Cal’s pitching is also marginally stronger on paper when placed next to Stanford. The Bears’ pitching staff has managed a collective 2.16 ERA, while the latter lags far behind with a 3.72 ERA. Dung, Conley and company have also struck out 123 more hitters than Stanford’s staff. In recent history, the rivalry has been rather one-sided, with the Bears currently maintaining an 11-game win streak, dating back to 2014. The last time Cal fell to Stanford was in the opening game of the conference series that season. With the history and statistics in their favor, the Bears are in an excellent position to continue their dominance over the weekend. The series kicks off at 6:45 p.m. Friday evening.